My daughter, Caitlin, was diagnosed with acute lymphoblastic leukaemia (ALL) when our family was living in Warsaw, Poland. The nurse called from school to tell me that Caitlin, who was five years old at the time, was sick. She’d fallen asleep in class. She’d seemed unusually pale that morning when I dropped her off. Over the previous two months, Caitlin had had a few rounds of antibiotics for common illnesses. But even though she recovered after each round, I knew she wasn’t 100%. After a blood test, we got her diagnosis the next day. Then we had to make some big decisions fast! The medical facilities at the Polish cancer centre were below modern, Western standards, and parents were not allowed to stay overnight with their child. We knew we had to find better treatment but Caitlin’s blood counts were so low that she needed a blood transfusion before we could leave safely. We were put in a room with three other children. Although there was no room for me to sleep, I shared the bed with Caitlin that night. I’m American but, because Caitlin’s father is Swedish, she was allowed to receive treatment in Sweden. The next day we were flown in an air ambulance to the Lund University’s Children’s Hospital in the South of Sweden. I left Poland forever without saying goodbye to my three other children at home and without being able to pack a suitcase. The rest of the family moved to Sweden two weeks later. My daughter has received outstanding care at the Hospital in Lund. Caitlin’s prognosis is 80% which is a remarkable statistic considering that leukaemia was basically incurable in the 1960s. 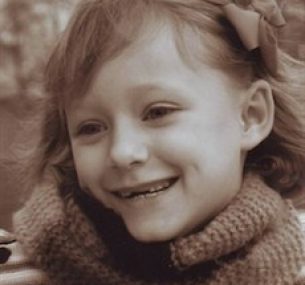 Caitlin’s chemotherapy lasted for two and a half years. During our first year we spent over 100 nights in the hospital. In most circumstances this much time in a hospital would be unimaginable and depressing, but it hasn’t been that experience at all. The hospital is cheerful and uplifting, fresh and modern, with an incredible staff of nurses and doctors readily available. Spending time at the Lund hospital was as positive an experience as it can be. There was a play therapy playroom which is a paradise for kids. It’s a fantastic place where you can paint on the wall, build things out of wood, bake a cake, or participate in an interactive puppet show. It was during our time in play therapy that I started drawing pictures for a children’s book on leukaemia. Caitlin also contributed drawings. 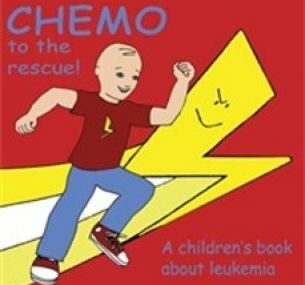 I have finally succeeded in publishing our book – Chemo to the Rescue: a children’s book about leukaemia. We hope that our book will encourage other children undergoing treatment, by providing a positive outlook to chemotherapy and hospital life. Luckily, Caitlin has responded very well to treatment. She lost her hair for a year but it has grown back. She is as energetic as any other young girl and looks back on her treatment as a challenging yet positive experience.